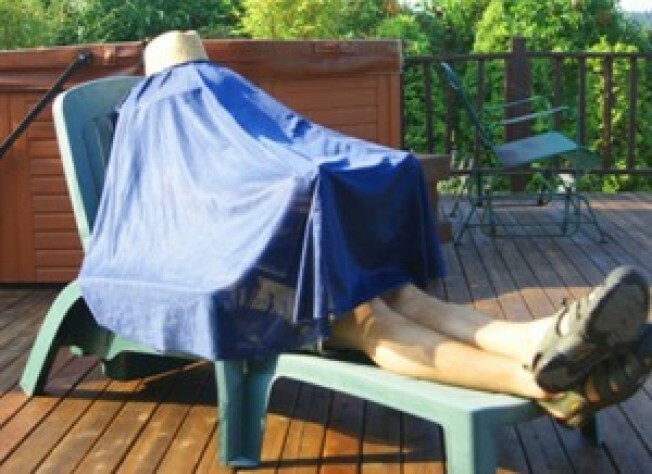 The questionably-named Laptop Burka is essentially a sheet you drape over you and your laptop when outdoors to provide privacy and a glare shield. Yes, the makers of this $36 sheet expect you to sit in public with it over you. If you're really worried about glare and privacy, here's a solution: your house. Just stay inside. Sitting on a park bench with a sheet over you is a good way for a hobo to get into a fight with you over territories, as he'll mistake you for one of his own. Also, you'll look like a complete jackass.